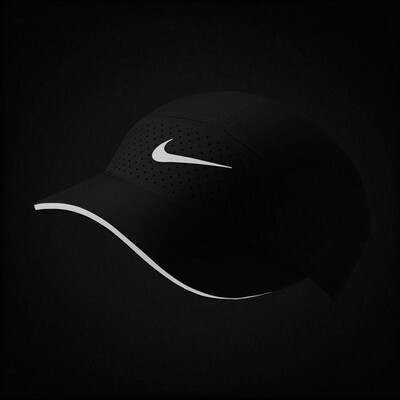 The Nike AeroBill Tailwind Running Cap strikes the perfect balance between breathability and sweat-wicking comfort. AeroBill technology works to wick excess sweat and moisture away from the skin to the surface of the fabric for quick evaporation keeping you cool, dry, and focused on the road ahead. 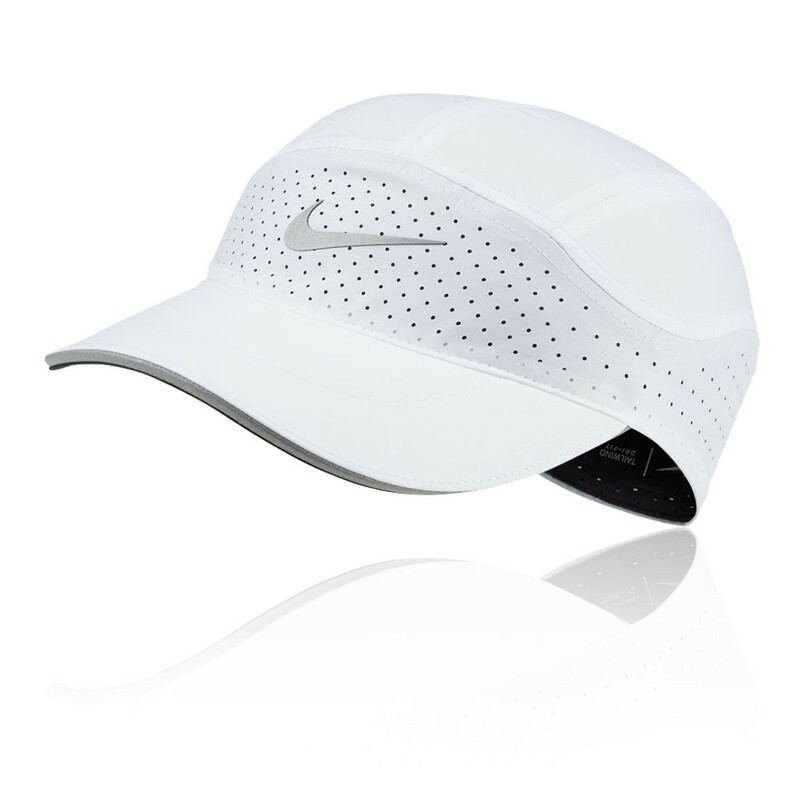 3D-heat-mapped laser perforations strategically placed optimise breathability in high-sweat areas; cool air permeates the fabric to remove uncomfortable heat build up with more cooling on the front panel. Adjustable closure allows the fit to be adjusted with one hand creating a customised, secure fit and a distraction-free run. Reflective details complete the cap increasing visibility in low-level lighting. 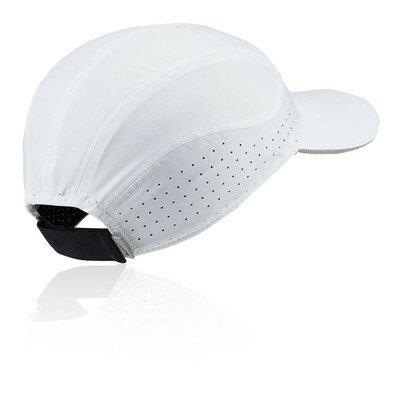 AeroBill Technology- Wicks excess sweat and moisture away from the skin for cool, dry comfort. 3D Heat-Mapped Laser Perforations- Optimise breathability in high-sweat areas. Cooling on the Front Panel- Keeps you cool and focused on the road ahead. Adjustable Strap- Adjustable with one hand for a secure, customised fit. Reflective- Increased visibility in low-level light.